The Aquaracer is modelled upon the great Heuer aquatic watches of the past, as beautiful to the eyes as it is a pleasure to wear. It is a sports watch developed to meet the extreme requirements of professional water sports, resistant and reliable. 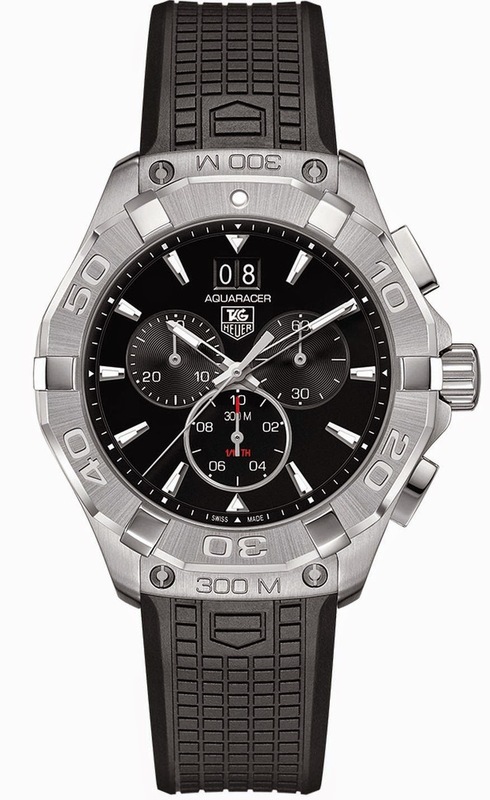 The new Aquaracer 300M collection – named after its 300-meter dive capacity- exemplifies the line’s performance qualities more than ever, but also enhances its refined, sporty allure. 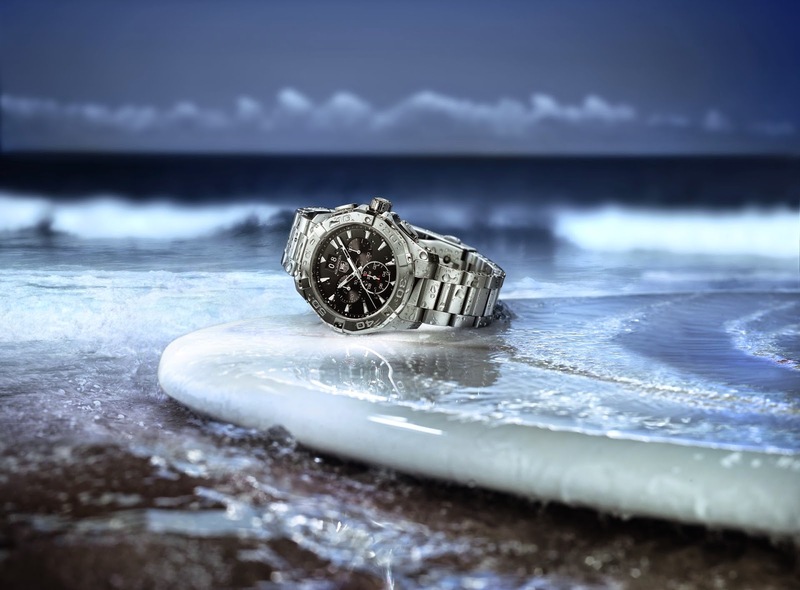 Each timepiece is a true seafarer and diving instrument, fully water and shock resistant. A sports watch directly inspired by the diving world for a casual yet elegant effect, this new model boasts a new design of the bezel for a modern look. It features six ergonomic studs to easily set it up when wearing gloves. A screw-in crown gives more security and precision. 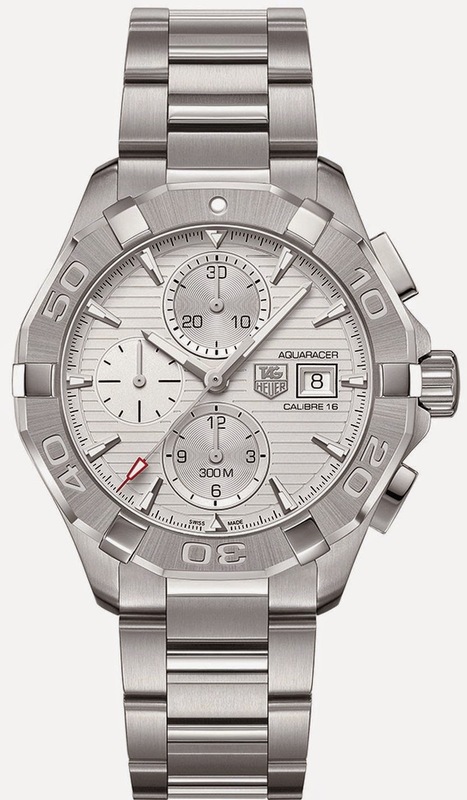 The unidirectional bezel measures time limits or elapsed dive time. An accidental movement of the bezel could only reduce the indicated time remaining, an essential safety factor for divers. 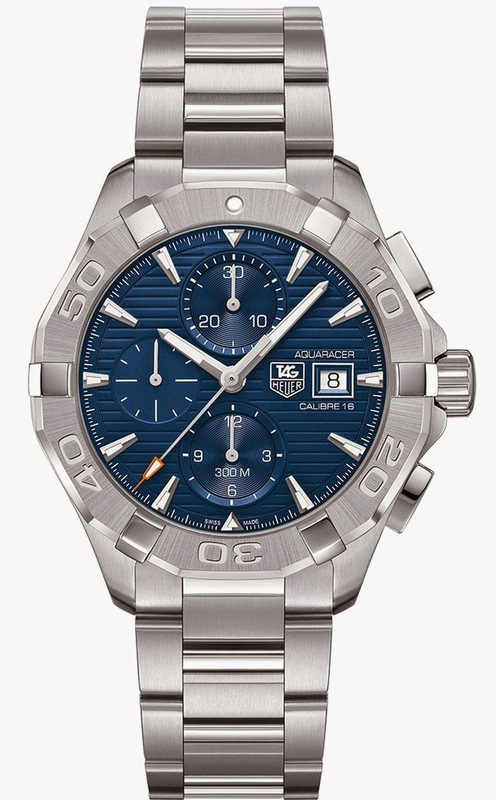 The brand has incorporated high range finishing on the case, bezel and bracelet. The dial features horizontal streak effects for an avant-garde look and luminescent markers on indexes and hands. A folding clasp with a double security is incorporated in the strap to prevent any accidental opening and with a special diving extension. Water-resistant to 300 meters: strict testing, double gaskets and rigorous manufacturing standards make of the new Aquaracer a highly reliable watch.